It was great to read about your 100 day plan in last week’s Jerusalem Post. It certainly grapples with some of Israel’s main challenges: Iran’s nuclear program, terrorism, the economy, stemming job losses and “interfacing” with the Obama administration. Good luck with all of that. You’ll certainly need it. But there was one major issue glaringly absent from the plan; one that you must deal with if you are to effectively address every other item on the list. Energy is at the core of Israel’s – and the world’s – most urgent geo-political, environmental, economic and security challenges. Continuing reliance on oil from oppressive Middle Eastern regimes is no longer an option. The world must move rapidly to clean, renewable energy sources. Israel can, and must be at the heart of that transformation. Let’s see how energy policy is intertwined with every one of your target issues. Take Iran and terrorism, the first two points on the list. Iran has reached the threshold of building a nuclear bomb, which you identify as an existential threat to Israel, using the proceeds of decades of petrodollars. Hamas and Hezbollah are financed by the same dirty sources of funding. Hezbollah was able to provoke the 2006 war that laid waste to Southern Lebanon because oil-funded Iranian largesse then rebuilt the country and bought off its enraged inhabitants. Long before most people, you grasped the connection between the undemocratic nature of Arab regimes and their continuing conflict with Israel. 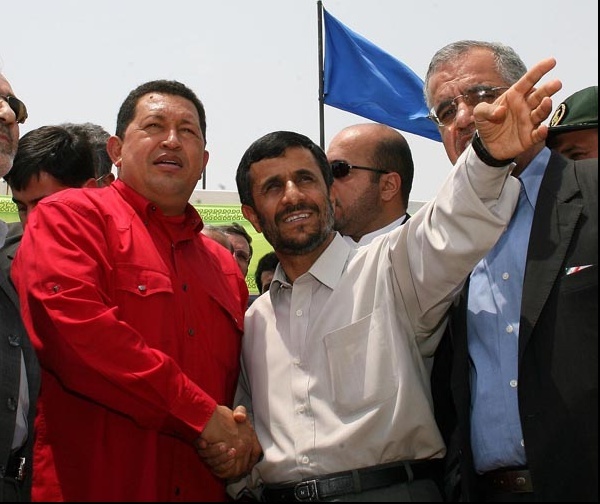 But there’s an equally fundamental connection that you may have missed, the one between the undemocratic nature of those regimes and their huge oil revenues. States with access to huge monopoly rents from exporting oil and natural gas have money to buy off interest groups and potential opponents. They have no incentive to invest in education for their people or to foster economic and occupational diversity. According to Larry Diamond of Stanford University, of the twenty three nations in the world that derive most of their export income from oil and gas, not one is a democracy. It’s no coincidence. Helping the Western world to kick its oil addiction is probably the single most important and practical thing we can do towards creating a more democratic and peaceful Middle East. What’s more, they have achieved these extraordinary successes not thanks to, but despite, the policy of successive Israeli governments. Speak to senior executives at some of Israel’s clean energy companies; you’ll hear stories of brilliant innovators waiting a decade for zoning permission to build a solar field or of encountering nightmarish administrative delays when they want to connect renewable energy generation to the National Grid. The feed-in tariff for solar energy recently enacted by the outgoing government was a good idea, and should be implemented. But what would arguably help the renewable energy industry even more would be the ability to compete with fossil fuels on a level playing field. If you declare renewable energy to be an Israeli national security priority and blast through the bureaucracy, the ingenuity of our inventors and entrepreneurs could do the rest. Turning to the next two items on your shopping list, the potential economic and employment benefits of encouraging Israel’s clean technology sector are huge. The world energy market is currently worth $ 5 trillion. With the prospect of a global carbon capping agreement from 2012, a large and increasing proportion of sum will be spent on renewables. This represents a huge economic opportunity for Israeli companies. Bold government policy could help Israel enterprises to capture a large share of this enormous market. What is more, it would bring high-tech, high skill, high wage jobs to Israel. Currently there are leading Israeli clean technology companies that do their R and D in Israel but send their construction and manufacturing abroad to avoid bureaucratic entanglement. With recession cutting into the local employment base, these jobs need to come home. And what of Obama? We all know that behind the brave talk about unshakable friendship based on deep common interests, there are major ideological gaps between the new American and Israeli governments. It’s not just about the Palestinians, but extends to broader social, geopolitical and economic policy too. In 1996, you wowed the Republican congress with your passion for tax cuts and deregulation. Positioning yourself as the last dinosaur of Reaganite Neo-liberalism won’t win you many friends in post bailout Washington DC today. Throughout the Bush era we were considered America’s necessary ally in the War on Terror. The new administration appears to believe that there is no such thing. But energy is one area that cries out for deep cooperation between Israel and the US. 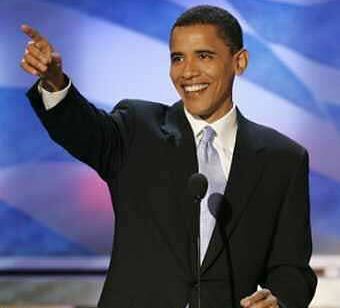 For Barack Obama has, correctly (in my opinion), identified global climate change as a major threat to the world, and pledged that the United States will take the lead in addressing it. He has accepted the challenge of revolutionizing the way America produces and uses energy. To this end, he has committed billions of dollars towards increasing energy efficiency, promoting solar and wind power and reducing the country’s reliance on oil and goal. We need you to accept this challenge too. Lead our country towards a future of safe, clean, renewable energy, and help us to lead the world there. Then you will be able to justly claim that Israel is America’s indispensable strategic partner in the most important economic and technological transformation of our time. Here’s a short quiz. Read the following quote and then answer the simple question below. d)Rabbi Menachem Mendel Schneerson, the 7th Lubavitcher Rebbe, in 1981? The answer is d). 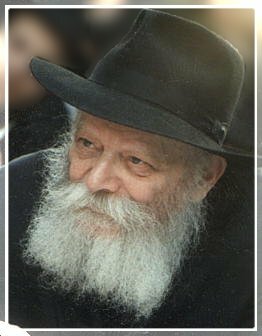 Rabbi Schneerson spoke at length about the imperative for the United States to move over to solar energy at a gathering of Chabad Hassidim in Crown Heights, Brooklyn, on April 11th 1981. Incredible, no? Seven years before Professor Jim Hansen first alerted the world to the threat of global climate change in his testimony to the US Senate, a Hassidic Rebbe (albeit one with a degree in engineering) was informing his followers that America needed to go solar. There are, of course, those who will tell you that the Lubavitcher Rebbe was a prophet and a genius, and that that’s why he was able to anticipate global leaders and experts on this issue by a quarter of a century. Maybe. The Rebbe was certainly a great Jewish leader. I don’t want to pronounce on the nature of his powers. My point, however, is that he didn’t need to be a prophet or a genius to figure out in 1981 that there was something very wrong with the way that the United States was acquiring and using energy. America was in the middle of a recession triggered by the second big oil price spike and was just recovering from the Iran hostage debacle when the newly born Islamic Republic had held the United States, literally, over a barrel. (Or more accurately, over tens of millions of barrels.) At that moment, there was something very clearly crazy about leaving our economies dependent on a fuel whose price was incredibly volatile and which was located mostly under the land of authoritarian regimes that despised us. There had to be a better way. So why did Rabbi Schneerson get it twenty eight years ago, when so many other smart people didn’t? The date of his utterance, April 11th, 1981 provides us with a clue. The Lubavitcher Rebbe gave his speech on solar power three days after the last Birkhat Hahama celebration. “One who sees the sun at the beginning of its cycle…should say. ‘Blessed are You who makes the works of creation.’ And when does it happen that the sun is at the beginning of its cycle? Abbaye says, ‘every twenty eight years, the cycle begins again and the Nissan equinox falls in the hour of Saturn, on the evening of the third day, the night before the fourth day (of the week. )’” Babylonian Talmud, Berakhot, 59b. Speaking days after the last Birkhat Hahama, Rabbi Schneerson was doing just that. He was challenging his listeners to use that day, an obscure but precious resource from our tradition, to think about whether their generation was using the sun’s blessings wisely. The next Birkhat Hahama will be in five weeks time, at sunrise on April 8th, 2009. What have we done with the sun’s gifts in these last twenty eight years? We have used them to wreck the biosphere. Combustion of billion year old fossilized sunlight in the form of oil, coal and gas emits greenhouse gases. Our unabated addiction to burning fossil fuels in our cars, homes and factories is causing famine and drought in Sub-Saharan Africa, flooding Bangladeshi peasants out of their homes and rates of species extinction that haven’t been seen on Earth for tens of thousands of years. If we don’t change course soon, unprecedented weather extremes threaten to wreak havoc on our children’s lives. If the economic and geopolitical foolishness of continuing to depend on fossil fuels was dawning on a few people twenty eight years ago it is as clear as daylight today. Unlike the sun, which is good for at least another billion years, oil, gas and coal are finite. We need, really soon, to develop renewable energy sources that will be in place and ready to power the world the day after oil. Otherwise, the catastrophic consequences of that moment on the global economy will make the current recession look puny. America has fought three Middle Eastern wars since 1991, at the cost of thousands of lives. Iran has used decades of petrodollar income to reach the threshold of building a nuclear bomb. The idiocy of forking over trillions of dollars in oil revenues to oppressive terror-funding regimes has at last become too egregious for anyone to avoid. Last Birkhat hahama, the Lubavitcher Rebbe was one of the only people to seriously confront the question “Are we using the blessings of the sun wisely?” This time around, we all must. We need to ask ourselves, our communities and our leaders: Are we using energy as efficiently as we could be? Are we making every effort to switch to clean, renewable fuel sources derived directly from the sun’s energy? Are we doing everything we could be to persuade our governments and industries to invest in solar and wind power? Will we c ontinue to encourage regimes that happen to be sitting on top of stocks of fossil fuels to concentrate vast wealth in a few hands, while abusing their populations and neglecting to develop their human potential? Will we continue to fight bloody wars over the right to control the land beneath which the dwindling supplies of fossilized sun are stored? Will we continue to actively cause global climate change? Or will we choose a path towards energy that will be widely distributed, non-polluting and eventually, almost free. Will we invest in the development of the sophisticated technologies and learning organizations that can harness an inexhaustible plenitude of sunlight and the related, sun-driven, natural processes of wind and waves? If we can give honest answers to these questions this April 8th and act on them, then, God willing, next Birkhat Hahama in 2037 we’ll be able to look back and say that we used the blessings of the sun to help bring peace, pros perity and healing to the Earth. For more on Birkhat Hahama, visit www.blessthesun.org. Two inspiring recent stories about solar energy advances in, or coming out of Israel. One made a big splash here; the second, a human interest story buried somewhere deep in the pages of the Jerusalem Post was, in its way, no less significant. Last Monday the Arava Power Company announced that it is building solar power plants in the Negev that could soon be producing I Gigawatt of electricity. This is huge news. 1 GW is about 10% of Israel’s electricity use. At a stroke it would go half way towards meeting the government’s target of 20% of electricity coming from renewable sources by 2020. Now more children are vaccinated because vaccines can be kept chilled, people can find the clinic at night, and doctors don’t have to work by candlelight. All of the solar panels are supplied by an Israeli company, Interdan. One thing that these stories have in common is that both of these Israeli innovators see the benefits of solar energy in ethical, or even spiritual terms. But Abramowitz and Achor-Borowich understand the benefits even more widely. 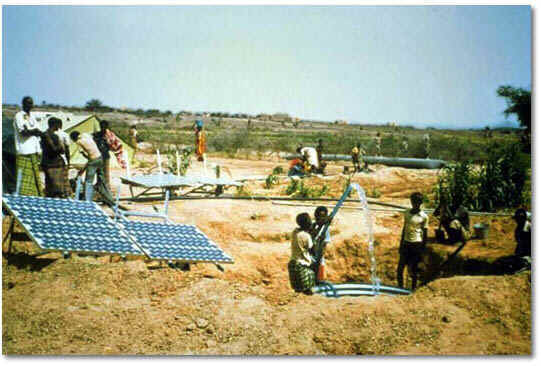 “Solar energy is the power of peace”. Abramowitz wrote in an article in Shma Magazine (June 2008) where he movingly describes watching Al Gore’s film with a group of Jewish and Arab students at the Arava Institute for Environmental Studies. Realizing that the same sun shines equally on all of us, is owned by none of us, and can supply our energy needs in abundance could be inherently peace-making. energy-independence benefits of power from the sun, it’s abundance and universal availability point the way to a juster, fairer, more peaceful energy culture.